I’m something of an addict on Reddit. I enjoy the community and find it as a good place to check the pulse of popular culture in North America while living in the Land of The Rising Sun. A frequent observer in the /r/pics subreddit I try to check it everyday as it’s a good place to find article ideas. 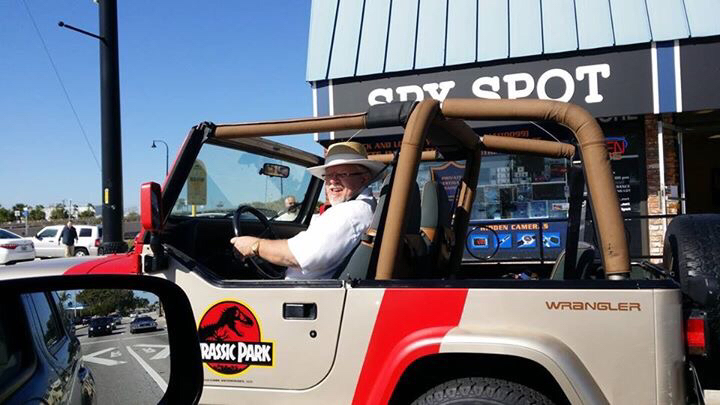 For the last year now I’ve been noticing something strange … well what I felt was strange, Jurassic Park cars. I get that the 1993 Jurassic Park release was a huge movie and it ignited the imagination of millions of kids who are now adults. The logo is of course iconic but the cars in the movie? Really? Back To The Future, now that I understand. The DeLorean is not only a collectors car but it was the main plot device in the blockbuster Trilogy. I’m thinking, starting a year ago, some viral marketing company had the brilliant idea of making a couple mock ups and just driving them around certain parts of America knowing that people would take pictures of them, post them on social media and create a buzz. Insidious but ingenious.